After the declaration of Scottish independence on Nov 30, 2019, the need of own military forces cam up. 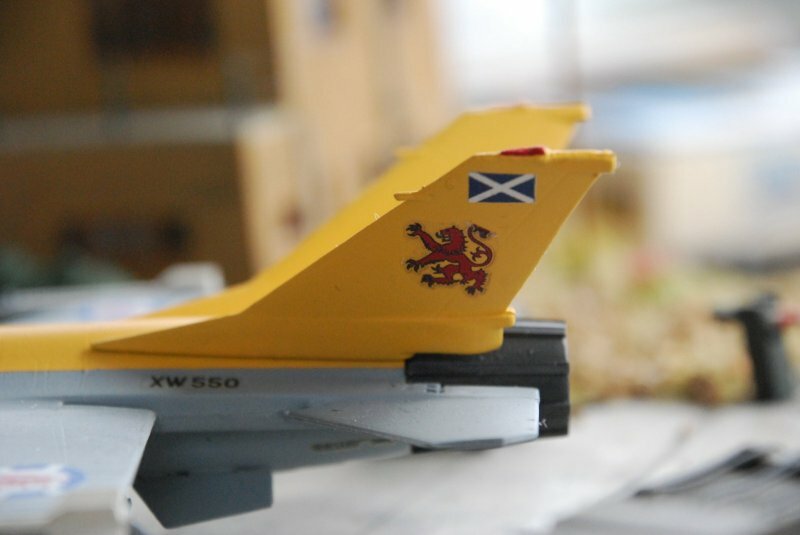 As Scotland only was able to get a very small share of the former British military, the newly formed Scottish Airforce came up with no flying aircraft. Therefore, as a first step, Scotland bought 16 used F16 fighters from the USAF to setup up the core of the Scottish air defense. However, as those aircraft were not up-to date compared with potential threats, research started to improve those aircraft. 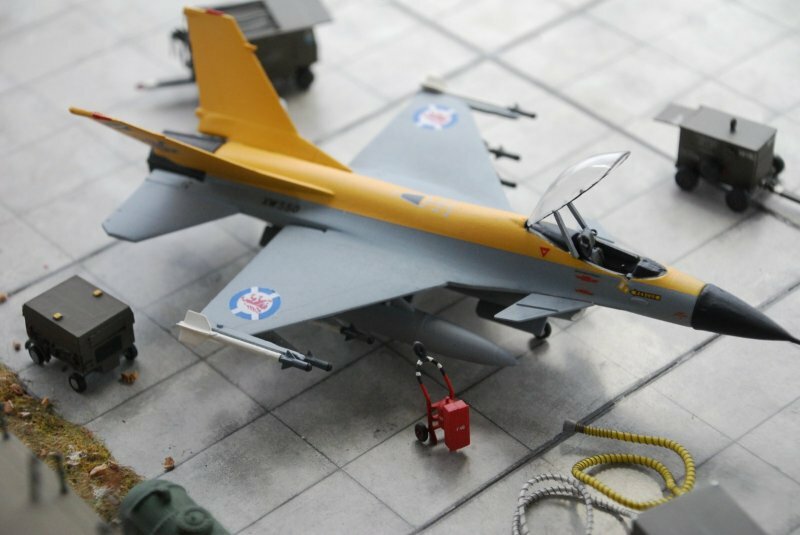 At the restored Scottish Aviation aircraft company at Prestwick, research started for an update of the F16. 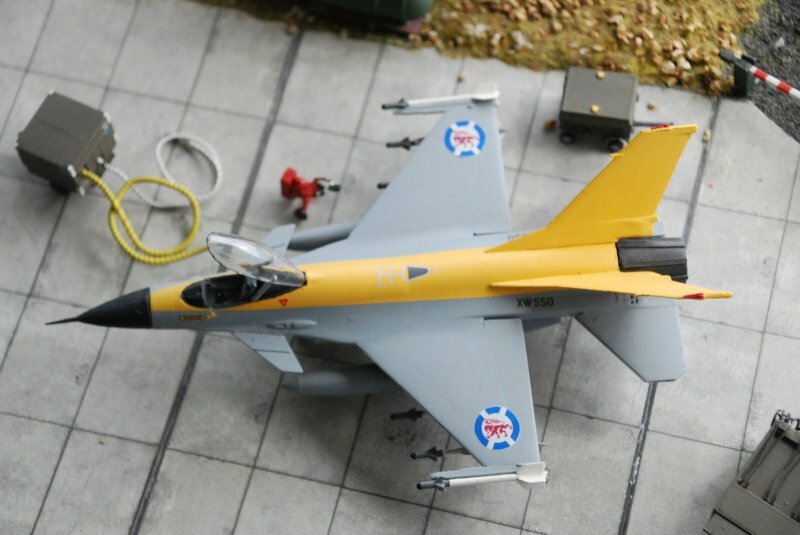 Under the lead of Willam MacLeod - from the clan of the MacLoads - the F16s were equipped with a double tailplane fin and additional canard to improve maneuverability. On the backside, those modification decreased the top speed of the plane of about 15%. 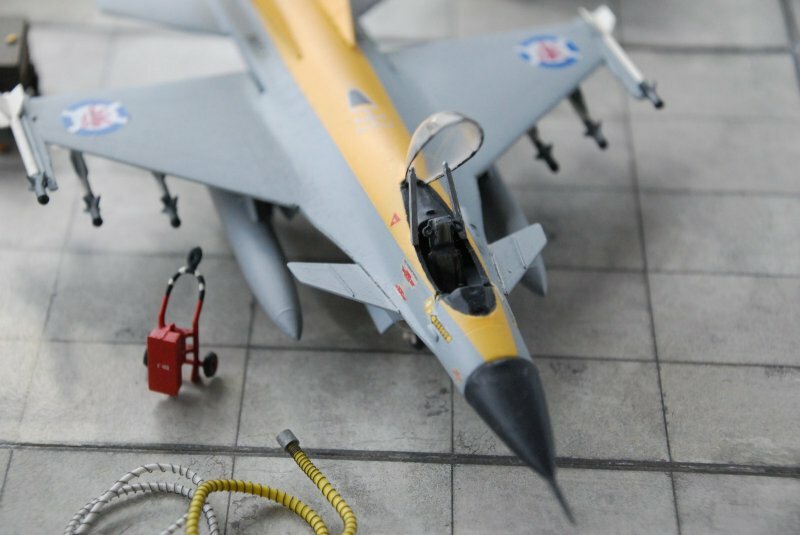 Avionics were improved to be adjusted to the new plane layout and only 9 months after Scottish independence day, the first of the new F16AT took of on its maiden flight. And - original quote of Sqn Ldr Conner Wallace: "If felt like a dragon ride" it seemed as if Scottish engineers came up with a remarkable good aircraft. Therefore, all of the F16 were to be modified to the new F16AT standard, the first planes were taken into service in early 2021. Where they were desperately needed. The new Scottish Airforce had to deal with two kind of threads to Scottish airspace: Russian aircraft testing the Scottish border defenses over the North Sea were seen several times a week. 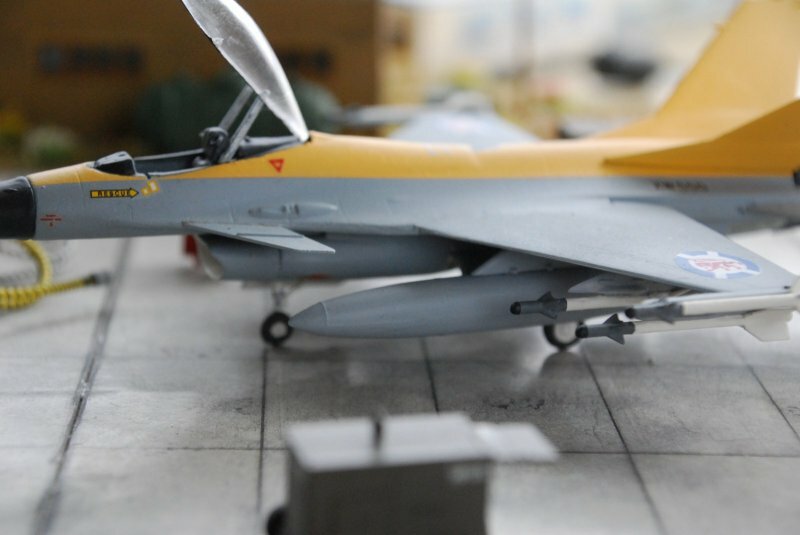 And on the southern border, the British Royal Airforce aggressively flew patrols over the English-Scottish border, but the new F16AT were a real surprise to the RAF Eurofighters when they showed up in January 2021. 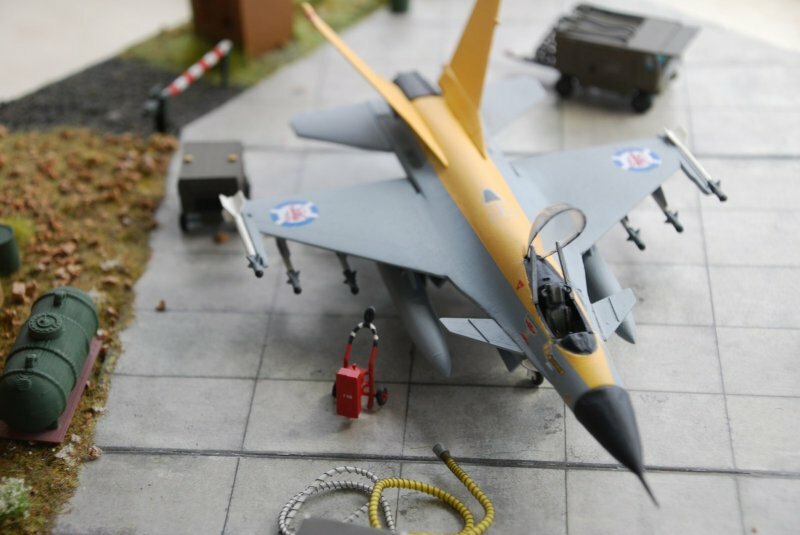 The model shows a Scottish Airforce F16AT of the First Air Dragoons in February 2021 with a Anti-Air load out. 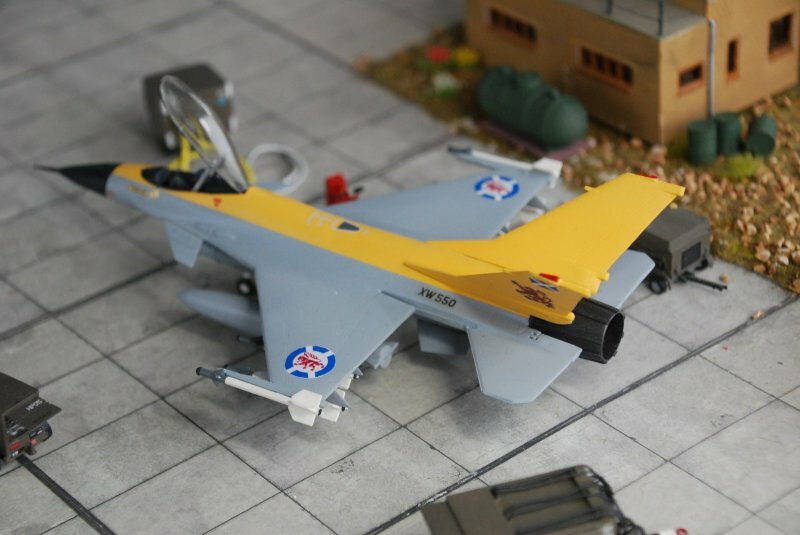 This model is based on the 1/72 scale F16 kit made by Smer. Which is a horrible produced kit. The plastic material is very soft and fit quality is awful. so this plane was close to try to fly out of the window from the 6th floor. The additional tail fin came form a similar kit made by Mastercraft, although this was a different manufacturer, the kit was the same (but better produced). The canards were taken form the spare part box. (from a Soviet cruise missile). 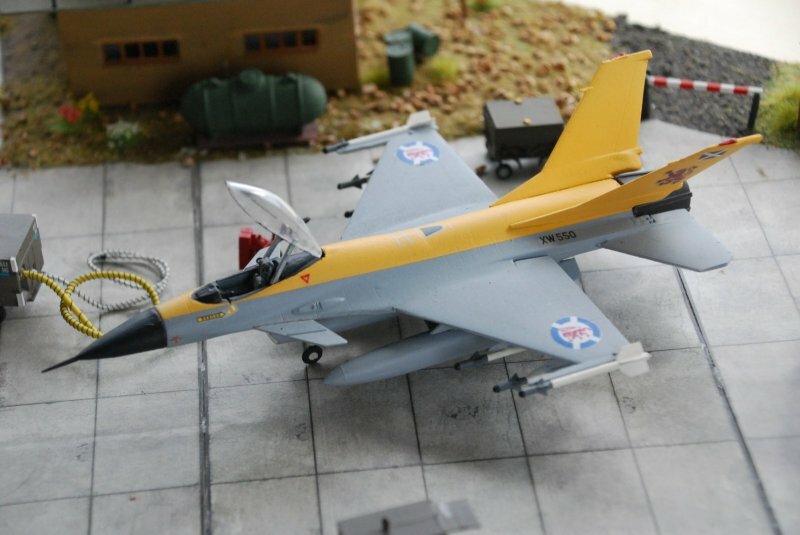 Airbrushed with Revell Aqua Color, the decals were self made. Love it! I'm planning a similar build, based on yours, and using the decals you so kindly sent me. I love it, great work!!!! Nice work. Love the colours too. Neat idea and nice build.